Our RoxBox Capsule Bluetooth Speaker features four hours play time and operating range of 10 meters and makes impressive Company Logo Products with custom details. Sound off with the custom RoxBox Capsule Bluetooth Speaker as your next promotional giveaway! Contemporary designed, this Bluetooth speaker features black capsule shape. It easily connects to any Bluetooth enabled mobile device to turn it to a portable sound system with exceptional sound quality. 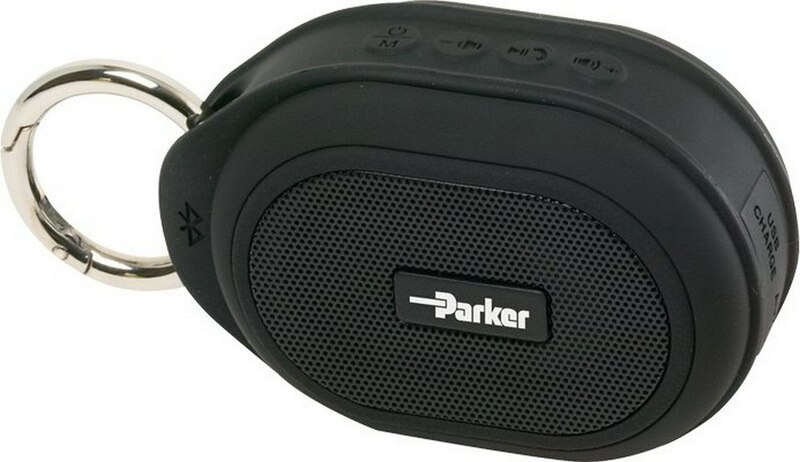 With water resistant rating, this speaker is capable of playing in wet conditions too. It offers up to 4 hours of play time and a working range of 33 feet. The speaker features four easy to access buttons on the top - volume/next, volume/previous, power/mode, play/pause/hands-free. 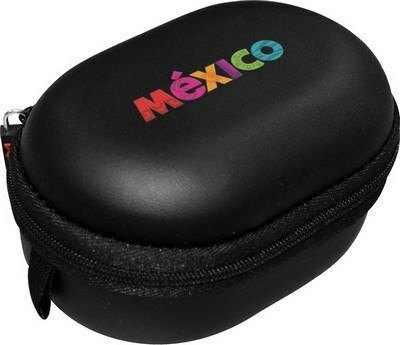 It comes packed in a compact zippered PU carrying case and includes a removable carabineer. Your brand logo printed on the speaker is sure to catch maximum attention everywhere.